Description: Murder Manor is celebrating its 9th year running with two new rooms and more monsters than ever before! This old Victorian estate comes back to life on Halloween beckoning guests to travel once again down the haunting halls to see how the manor was back in its prime and see the horrific events that sent it to the depths of hell. 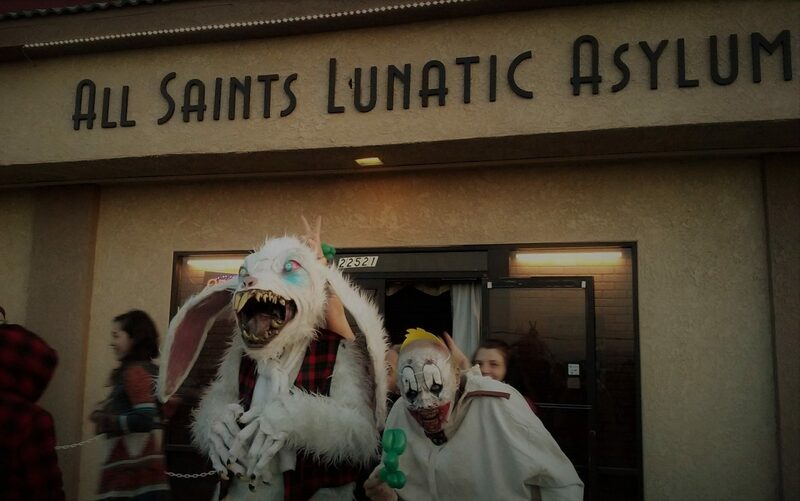 If you have not visited the Manor before you are missing out on a terrifying night that you will never forget. 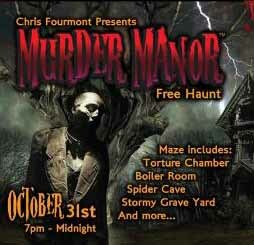 The Murder Manor haunt is absolutely free but donations are encouraged. Fifty percent of all donations will go to the breast cancer 3 day walk which will be held in San Diego on November 20th - 22nd. The walk supports the Susan G. Comen Breast Cancer Foundation, so please come out and support a great cause and have fun doing it!